Looking at me, people will surely think that i am very diet conscience person, but no, its not the case AT ALL!! Its only when there's a family wedding when i feel the need to worry about those extra kilos else 'I don't care'. How can anyone neglect food..good food!!!! So this weekend was all about food..i mean lip smacking delicious 'calorie' loaded food, and we both loved it. Mr.P is a bit anxious about oils and butter but he seems to be carefree if my signature style Dal Makhni is on the menu. My style recipe of 'Dal Makhni' truly lives by the name 'Makhni' and yes its heavily loaded with all that you can call sinful. Butter and cream! Makhni gotta be nothing but makhni, so no healthy oil options or Nutralite for my gravies pls! 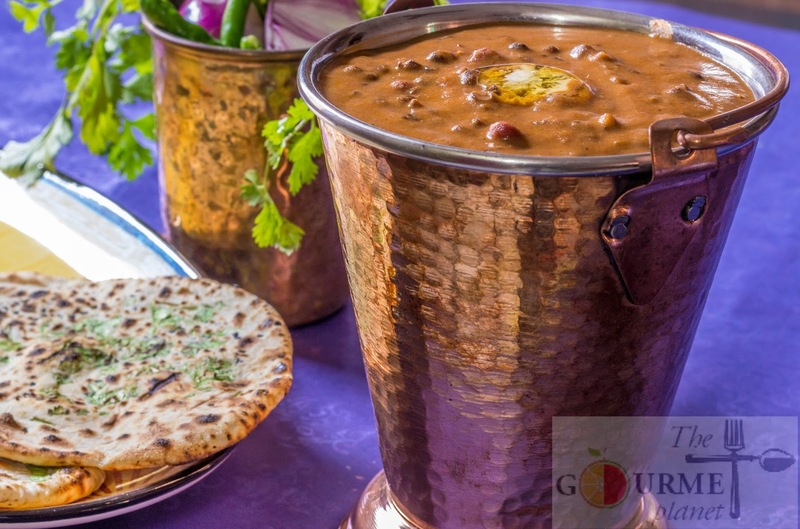 If you want a restaurant style Dal Makhni or Maurya's patented style 'Dal Bhukhara' then follow my recipe exact and do not hesitate even if you think it will add to the few inches. Its absolutely easy, take my words for it. I make it especially for my P and he loves it every-time. He is the reason why i have actually perfected this dish. Its his all time favorite. P.S. Do not get intimated with butter quantity pls!! Heaven's sake, its MAKHNI after all. :) Pure sinful indulgence..totally homemade! 1. Mix whole black gram and kidney beans and soak in water overnight. 2. Pressure cook dal with ginger garlic paste and some salt up-to 3-4 whistles. 3. Once the dal has been cooked, add some water (1-1.5 cups) if the dal has become to dry. 4. Unlid the pressure cooker and leave it on a simmered flame. 5. Add the milk, puree, butter to the cooked dal and let it cook in a low flame for 20 - 30 mins. 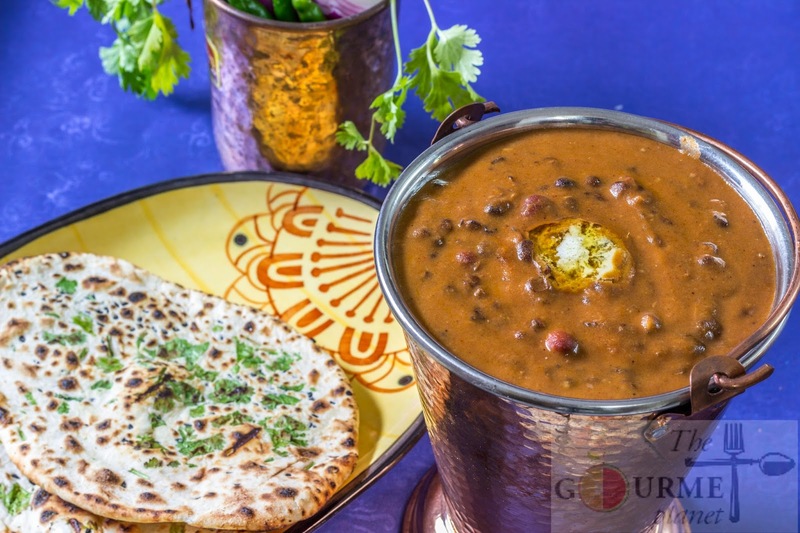 NOTE: Cooking for 20-30 mins will allow the dal to absorb all the flavors and its the simmering on the low flame which adds to the dal makhni flavor. 6. Once the dal has thickened a bit, add garam masala, salt and powdered seeds of black cardamom. 7. Serve hot with tawa naan, some spicy Kadhai Paneer and a bowlful of dal topped with a dollop of makhan. 1. While pressure cooking the dal, you could add whole spices (cinnamon, black cardamom, clove) as well. 2. Incase you wish to add some onions to my recipe, you could do it by adding one finely chopped, pan fried onions to the cooked dal along with tomato puree and milk. 3. 1/4 cup of heavy cream can also be added to the recipe and then you can reduce the quantity of milk if needed. So you too can win the hearts of your loved one. Cook it with love and you will master it for sure.